Shares in FTSE 100 oil giant BP (BP.) rose today after it announced a doubling in annual profit. 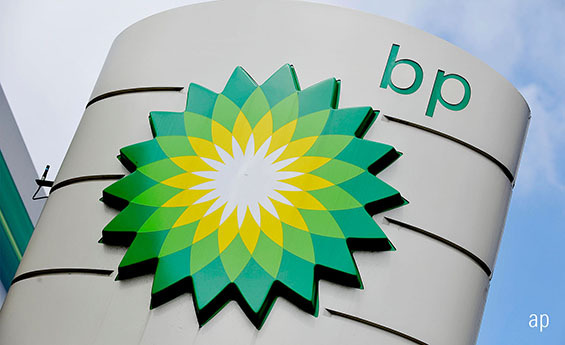 Taking the lead from peer Royal Dutch Shell's analyst-beating results, oil major BP was the best performer in the FTSE 100 on Tuesday after its full-year earnings came in ahead of forecasts. BP, up 4.9%, said underlying replacement cost (RC) profit – its preferred earnings measure – came in at $12.72 billion, up from $6.17 billion in 2017. Market consensus had seen a figure of $11.88 billion. Fourth quarter underlying RC profit was $3.48 billion, up from $2.11 billion the same period a year before. Expectations had been for underlying RC profit of $2.63 billion. BP also raised its dividend by 2.5% to 10.25 cents a share. The dividend will be paid on March 29. Operating cash flow for the full year, excluding payments related to the 2010 Gulf of Mexico oil spill, was $26.1 billion, up from $24.1 billion in 2017. "With the group guiding for higher production in 2019 and a further $10 billion in disposals over the next two years, the cash looks set to continue to flow for some years ahead. In the short term a good portion of that will be used to bring debt back into line with target, but longer term there's scope for substantial returns to shareholders through dividends and/or share buybacks," said Nicholas Hyett, analyst at Hargreaves Lansdown. BP is rated as a four-star stock by Morningstar analysts, with a fair value estimate of 670p, above the current price around 543p. The FTSE 100 company's share price had approached 600p in the autumn of 2018 as the oil price soared, but the collapse in crude prices then put the shares under pressure. After the results, Morningstar analyst Allen Good said: "The results demonstrate that BP is delivering on its plans to grow production while holding the line on operating and capital costs."